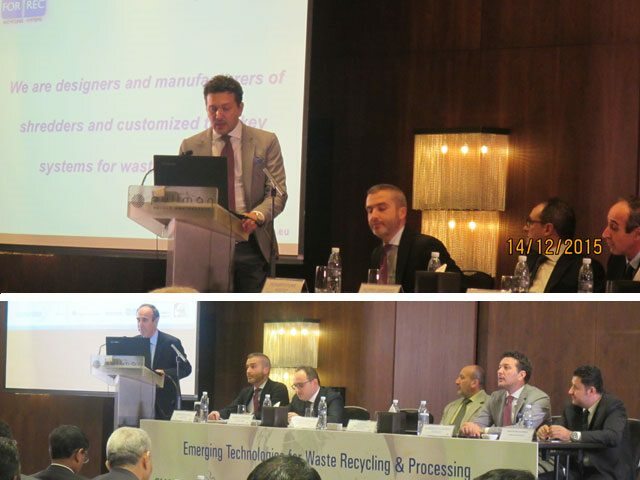 During this week Forrec has performed a leading role in the important convention "Emerging Technolgies for Recycling & Waste Processing" which was held in Dubai and that has given us the opportunity to present all our production. In fact, the Dubai Municipality, in collaboration with our distributor Sharaf Viax, organized a meeting for an in-depth illustration of the latest innovations and cutting-edge recycling technology and waste treatment. More than 80 operators in the recycling sector, active in Dubai, have shown interest in our products.